Tom Maloney was selected as a “Famous Arkansan” as part of Arkansas’ Developmental Disabilities Awareness Month. 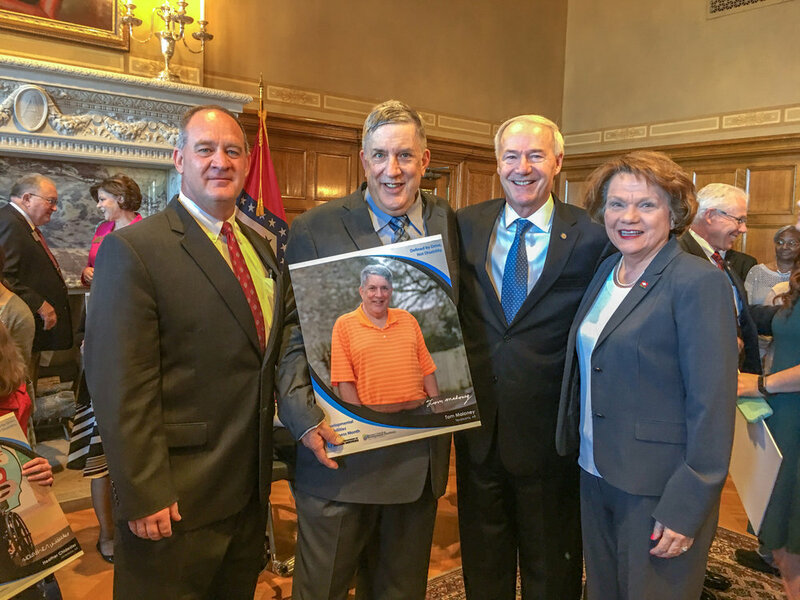 He visited the Arkansas State Capitol March 6 and was recognized by Governor Asa Hutchinson, DDS Director Melissa Stone, Senator Jimmy Hickey, Jr. and Representative Carol Dalby. Tom and other “Famous Arkansans” were celebrated for their individual achievements and involvement in their local communities. Tom has lived independently and held steady jobs since moving to Texarkana in the 1980s. He is active in civic groups and social events, and is a passionate artist. His art has been featured in local exhibits and won numerous awards, and he donates a piece every year to a fundraiser and auction for Opportunities, Inc., where he is a client and resident.